Read about the best things to do in Kyushu for 2018. Don’t miss out on the most popular Kyushu activities. There’s so much to see and do here. Use this updated information to help plan your trip. You’ll find what you can do with the family, teenagers, if you love history, culture or outdoor activities. After you find something you like contact us and let’s start planning your Kyushu itinerary. Kyushu is blessed with many ancient temples and shrines. Some are more than 1,000 years old. These temples are often in beautiful grounds and very picturesque places to visit. Some are best to visit in cherry blossom season and some in autumn (to see the changing colours of Japanese maple trees). One temple in Kyushu even has a wisteria tree 1,300 years old! The photo above shows one of our favourite temples. It has the largest bronze Buddha statue in the world. Temples in Japan are lively places. Locals come to worship, to take photos (just like me and you!) and to pray for good luck. Visit temples and shrines to see real living history, mingle with locals and get some great shots to share! Kyushu is famous throughout Japan for the beauty of its countryside. Visit Kyushu if you prefer to spend time in the rural outdoors instead of the huge mega-cities (Osaka, Tokyo etc). Whether you prefer a short stroll or a longer hike there is something for you. We’ll help you find your way around. It’s such a joy to experience the rich nature, coast and mountains of Kyushu. There are clearly signposted routes you can walk at your own pace. What can be better than a healthy country hike followed by a soothing onsen (natural hot-spring) bath? 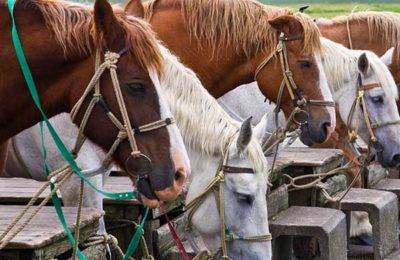 Looking for an exciting activity in Kyushu? Visit one of the many castles here. Some have been standing for 100’s of years. They are not just ancient buildings. Lives have been lived and you can feel the history. Walk in the footsteps of feudal lords, warring samurai and common country folk. The grandest castles offer beautiful viewpoints. Tip: the extensive grounds are often the best place to see cherry blossoms in spring. Visiting a castle is a great family activity. We can even arrange for you to wear a suit of armour! Leave your sword at home, but bring a camera. 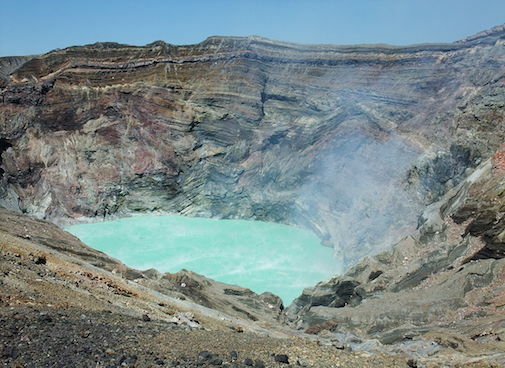 Kyushu is home to some of the world’s most active and explosive volcanoes. The photo above shows the boiling bubbling lava of Mount Aso. It’s one of the few places in the world you can climb an active volcano and peer inside the crater (and get a great selfie). Don’t worry though. The volcano is carefully observed and closed to visitors if it gets too active. In the worst case you can dash into one of the concrete shelters built around the rim. Kids love the devilish sulphur pong as you get close. Don’t miss the volcano-steamed egg (it’s a must-have snack for us volcano explorers). Cherry blossom viewing in Kyushu is not to be missed. Get your timing right and it can be the trip of a lifetime. See the sakura bloom on riverbanks, in ancient temples, towering castles and gorgeous Japanese Gardens. You’ll get the most amazing photos for your collection! We know all the best cherry blossom viewing locations. The timing varies a bit each year. Contact us for the latest predictions before you start looking for your flight. You’ll need to book early. This is one of the most popular times of the year to visit Japan. Shrines in Japan are lively places at the heart of the local community. One of the fun things to do in Kyushu is attend a festival at a local shrine. Shrine festivals aren’t solemn holy events. They are fun events full of families and kids. Everyone comes to have a good time. We made this video at a local shrine 15 minutes from our house. Come to Kyushu and have fun at a shrine festival yourself! If you want to see more things to do around Kyushu subscribe to our YouTube channel. Follow our adventures around our amazing island to see which ones you fancy. Don’t miss one of Kyushu’s wild and crazy festivals! It’s one of the best things to see and so much fun. It’s a great day out for the whole family. Locals and tourists enjoy them just as much. It’s a great chance for you to see how Japanese people party! They are held all around the island on different dates. The most popular time for festivals is summer. Grab a beer or a sweet fizzy drink and have some fun! Contact us before you book your flight. We can help you get your timing right so you can experience a festival for yourself. A unique activity in Kyushu is to watch a traditional dance performance. Some of them are funny, some comical, and some tragic. All life is there. The photo above shows a ‘Kagura’ dance performance. Our clients love it! It’s a Shinto theatrical dance with a history of many 100’s of years. The skill of the dancer is often handed down from father to son for many generations. The dances are held around the island at various times. You can find traditional Japanese dance performed in temples, at theatres and at festivals. We can help find one during your stay. It’s a delightful activity to include in your itinerary. Kyushu is known as ‘onsen island’. An onsen is a natural hot-spring spa and there are many 100’s of them here. For more info you can read our beginners’ guide to onsen. A trip to a hot-spring spa will be the highlight of your trip. Even though I live here I still go at least once a month. It’s relaxing, healing, enjoyable and healthy. Don’t miss the chance to experience a natural hot-spring spa while you are in Japan. I wrote this how-to-onsen guide for visitors like you who may have never used an onsen before. I hope it makes you feel confident to grab the chance to onsen while you are here. A trip to Kyushu is a chance to get away from the big cities. Escape to the countryside and the pretty villages. Enjoy the rural life and leave the pollution and honking car horns behind. Breathe the fresh country air. See Japan as it used to be. Take a look at the 90-second video above and see how you can spend your time. Refresh your mind, relax and rejuvenate yourself. We all need a break from the traffic, the crowds and the noise, right? Treat yourself and your family to a quieter and more peaceful vacation. 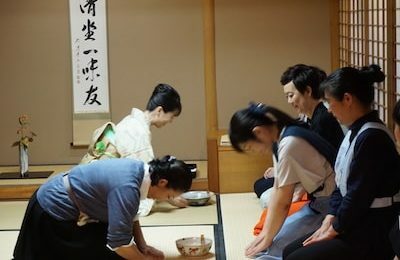 A fun activity in Kyushu is to tour a sake brewery. We arrange many sake brewery visits for our clients. We’ll send you to small traditional sake breweries or shochu distilleries. Many have been producing sake (Japanese rice wine) or shochu (Japanese whisky) for hundreds of years. You can almost taste the history. It’s fascinating to see the production techniques first-hand. Please note sake production follows an annual cycle centered around the rice harvest. This means tours usually only take place at certain times of year. Get in touch so we can advise the best time to come. Scenic beauty is perhaps Kyushu’s main attraction. Enjoy the picture-perfect view of rice terraces in the setting sun. Marvel at the lush green of tea plantations high in the mountains. Watch the sun sink over rugged coastlines. See the world turn pink as cherry blossoms bloom. Wander the forests as they change from green to golden reds, gold and rusty browns. Wake up early and look down on a sea of clouds. Row a boat through a beautiful river gorge. Feel your senses come alive as you marvel at the beauty of this incredible island. One of Japan’s top attractions is the autumn colours (you might call it ‘fall’). It’s a sight to behold and there’s no better place than Kyushu. The forests are many here and easy to access. Did you know Japan is 70% forested? 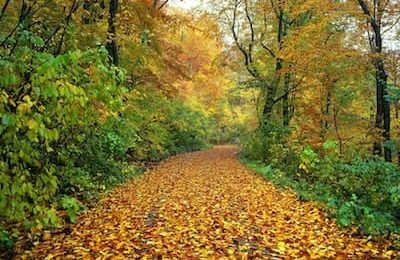 Crunch the leaves along country paths. Take in the crisp autumn air on leisurely strolls. Bring your camera and get some beautiful shots. Read more (and watch a lovely video) in our Seasons and Colours page. If you want to enjoy this gift of nature contact us before you book your flight. We can help you decide the best time to come. Staying at a traditional Japanese inn is one of the best things to do in Kyushu. Known as ryokan they are uniquely Japanese. The service is discrete but attentive. Be welcomed with green tea, Japanese sweets and traditional Japanese hospitality. Experience a night in a tatami (tightly woven straw-mat) room. The warmth, smell and feel is blissful. Get a peaceful night’s sleep on a futon (traditional Japanese bed). The highlight is dinner, a traditional kaiseki multi-course meal – video here. Wake to a homely Japanese breakfast (see photo above). Stay at a ryokan at least once in your life. It’s an unforgettable experience. Kyushu Journeys client finding it hard to choose! Kyushu produces some of the best sake (rice wine) in Japan. Sake is easy to drink, has lovely flavours and isn’t too strong. On request we can help arrange a sake-tasting session. A genuine sake tasting session at a local brewery usually can’t be booked online. We will contact the brewery on your behalf and make all the arrangements. Take a small sip of each and see which one you prefer. You don’t need to be an expert. Just trust your taste. The sake-tasting is usually free and you can buy a bottle of your favourite at a great price. Kyushu pottery is famous worldwide. The pottery villages of Arita, Imari and Karatsu are fascinating. They have been producing ceramics for 100’s of years but now showcase the most modern designs. Enjoy treasure hunting in age-old warehouses packed like Aladdin’s Cave. Get hands-on a messy and make a pot yourself. Enjoy your cake and coffee on genuine historic ware (like I did – see photo above). Pick up a bargain. Everyone can find something to their taste and in their price range. Take home a cup, plate or bowl as a quality souvenir. Remember your trip every time you have a cup of tea! Have you ever wandered through an ancient forest? Even seen a primordial timeless land? If you are looking for something different to do in Japan, let us show you. Believe it or not Kyushu is home to one of the world’s oldest trees. It’s more than 5,000 years old and sits in a magical forest. It’s so magical that it inspired the Disney film ‘Princess Mononoke’. It’s as far away from the big cities as you can find in Japan. Don’t miss the chance for this once-in-a-lifetime activity. Get your hiking boots on! Eating in Kyushu isn’t a background buzz. It’s the highlight of any trip here. The food here is famous throughout Japan. In fact, “What did you eat?” is the first question a Japanese will ask if they know you’ve been to Kyushu. It’s the home of ramen noodles, produces the finest wagyu beef and the seafood is to die for. When we start to plan your trip we’ll give you a list of dishes to choose. We’ll then include suggestions for the tastiest restaurants in your itinerary. Don’t forget Fukuoka’s famous yatai food stalls too. Read more here about the most famous Kyushu dishes. These are just some of the most popular activities you can do when you visit Kyushu. Let us know what you want to see and do and let’s start planning your Kyushu itinerary [FAQ here]. There are so many fun things to do in Kyushu! Whether you love culture, outdoor fun, culture, history or want teenage or family activities, we can help. If you have any questions or anything to share leave a comment below. We’re interested in your Kyushu itinerary planning service. We are a family of 3, me, my husband, and our (very) active 2.7-year old toddler. We’d like to explore Nagasaki, Saga, and Fukuoka Prefectures for 12 days from Nov 24-Dec 4. Let me know how do we get started! Thanks for your message. Because your trip is so urgent ~ coming soon and travelling over a really busy period ~ I dropped you an email.